Ahead of BBC Music’s National Album day tomorrow (Saturday 13 October) we celebrate the top 10 worldwide bestselling albums of all time. National album day is happening for the first time this year in recognition of the album format’s 70th birthday. Join us as we explore the stories behind these iconic records. One of the best known and loved musicals of all time, Grease (1978) is arguably the most prominent film of the decade’s 1950’s throwback craze. The movie is an adaptation of the stage show of the same name (1971) written by Jim Jacobs and Warren Casey. The soundtrack album has to date sold over 14.4 million copies worldwide making it the tenth bestselling album of all time worldwide. 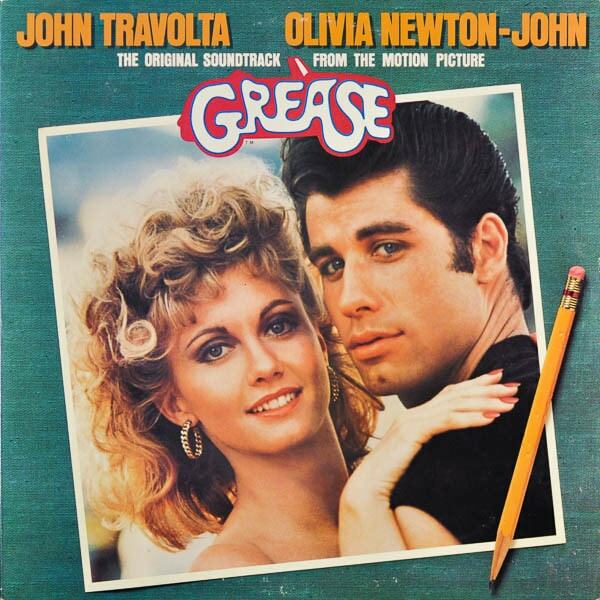 Grease was released after the Vietnam war (1955 – 1975) at a time of numerous US presidential assassination attempts and divisive, reactionary musical genres in the form of Punk, Disco and the developing heavy metal scene. Nostalgic radio shows playing exclusively Rock’n’Roll were popularised in the early ’70s and high schoolers often held 1950s social dances. Audiences were able to reminisce about what was perceived as an innocent time of more conservative values prior to the high profile shocking deaths of President John “Jack” Kennedy (1963) and his brother Senator Robert “Bobby” Kennedy (1968). Although set in 1962, George Lucas’ American Graffiti (1973) owes much of its iconography to the 1950’s. Its accompanying soundtrack album was hugely popular, introducing a new audience to the likes of Chuck Berry and Buddy Holly. Long running 1950’s set sitcom Happy Days (1974 – 1984) was also a key feature of the decade for American audiences. 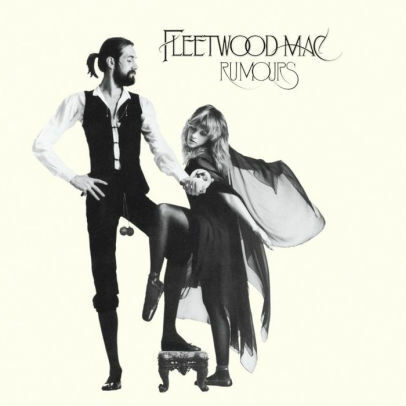 Recorded and produced in California in 1976, Rumours (1977) was transatlantic pop rock band Fleetwood Mac’s 11th studio album. The writing and recording process was heavily informed by destructive relationships both internal and external of the band at the time; founding member Mick Fleetwood (drums) had recently discovered that the mother of his two children was having an affair, Lindsey Buckingham (lead guitar) and Stevie Nicks (Vocals) were frequently fighting in an on/off relationship and Christine McVie (Vocals) and John McVie (Bass) had just divorced after eight years of marriage. A difficult atmosphere between band members was further magnified and complicated by their hedonistic lifestyles, which included the band often writing and recording high on cocaine. During this difficult time the band were bound together by one subject – the music. They were able to reach through their problems and exorcise a few demons along the way through heart wrenching lyrics and beautiful, intricate harmonies which have stood the test of time, as the album’s 40 million +worldwide sales can attest. You’ll see that many of the worldwide bestselling albums have a context of difficult times in common, from bereavement to professional or artistic frustrations. 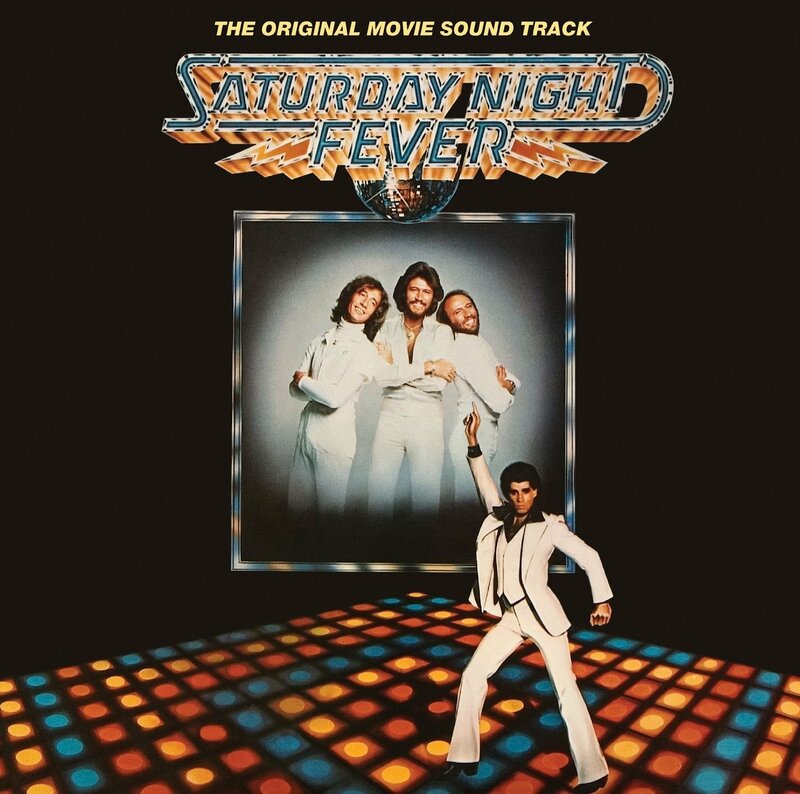 The film Saturday Night Fever (1977) and its Bee Gees soundtrack are so iconic its difficult to imagine them apart, but the performers were actually dancing on set to music by the likes of Stevie Wonder and Boz Scaggs. It wasn’t until post-production that the Bee Gees were tasked with scoring the movie. The soundtrack hit the Billboard album charts of 1978 and remained there for 120 weeks eventually ending its run in March of 1980. It has since sold over 45 million copies worldwide and has been added to the National Recording Registry in the Library of Congress due to its cultural significance. The film drew its inspiration from a story written by English journalist Nik Cohn about Italian-American young men living for the dance floor entitled ‘Tribal Rites of the New Saturday Night’ (June 7, 1976 New York). In an almost unprecedented move, the filmmakers purchased the rights to the article for $90,000. They were likely kicking themselves in the ’90s as Cohn admitted it was fabricated. John Travolta was already known in the US for his TV work but the film catapulted him to household name status. When he was cast alongside pop princess Olivia Newton John in Grease the following year he became one of the biggest stars in the world. The background for Eagles’ 42 million + worldwide selling magnum opus Hotel California (1976) is one of interpersonal band difficulties. Five studio albums in and the band were now referring to one another by sir name only. They would record ideas separately and send them to one another for approval. Their principal country influence multi-instrumentalist Bernie Leadon had recently left the band so they made a conscious decision to veer towards a rock sound. When it came to hitting the studio lead guitarist Don Felder couldn’t quite remember a guitar hook he’d been experimenting with at home so asked his housekeeper to play the tape down the phone for him. This would become the basis for lead track ‘Hotel California’, a title vocalist Don Henley had been toying with for quite some time. Henley wanted to write a strange song as an experiment and wrote the title track as a cinematic collage of weird images; the story of a weary traveler encountering odd characters. Originally envisioned by writer Lawrence Kasdan in 1976 as a star vehicle for Diana Ross, The Bodyguard film production twice stalled in the same decade before eventually going ahead with Kevin Costner and Whitney Houston co-starring in 1992. This was Whitney’s debut acting role; she struck up a strong relationship with her co-star which would last a lifetime with her offering him singing lessons in exchange for acting tips. The most famous song from the soundtrack is epic ballad ‘I Will Always Love You’, originally recorded by its songwriter Dolly Parton in 1973. 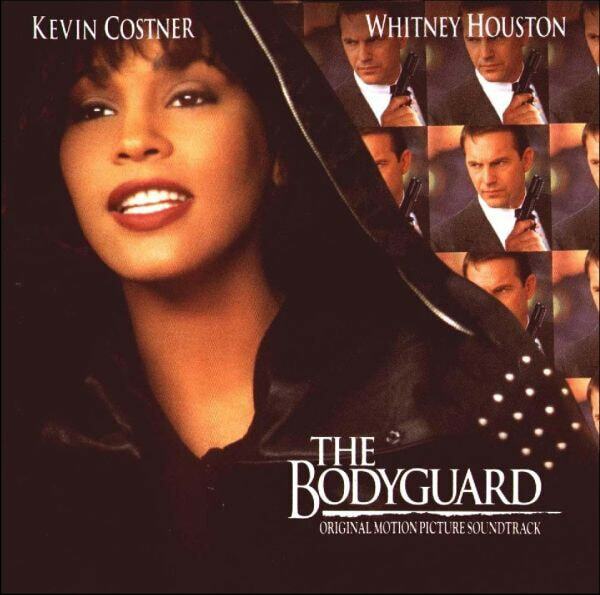 It was producer and lead actor Kevin Costner’s idea for Whitney to record the track. It is one of the best selling singles of all time and the album has sold over 42 million copies. The album fused the working class angst of Bruce Springsteen with epic semi-operatic vocals. Videos were produced to support the album. When MTV launched in 1981 videos were cued up live by members of staff like on the radio. The length of ‘Paradise by the Dashboard Light’ in particular left ample time for the team to excuse themselves for toilet breaks, so became a popular feature on the network. 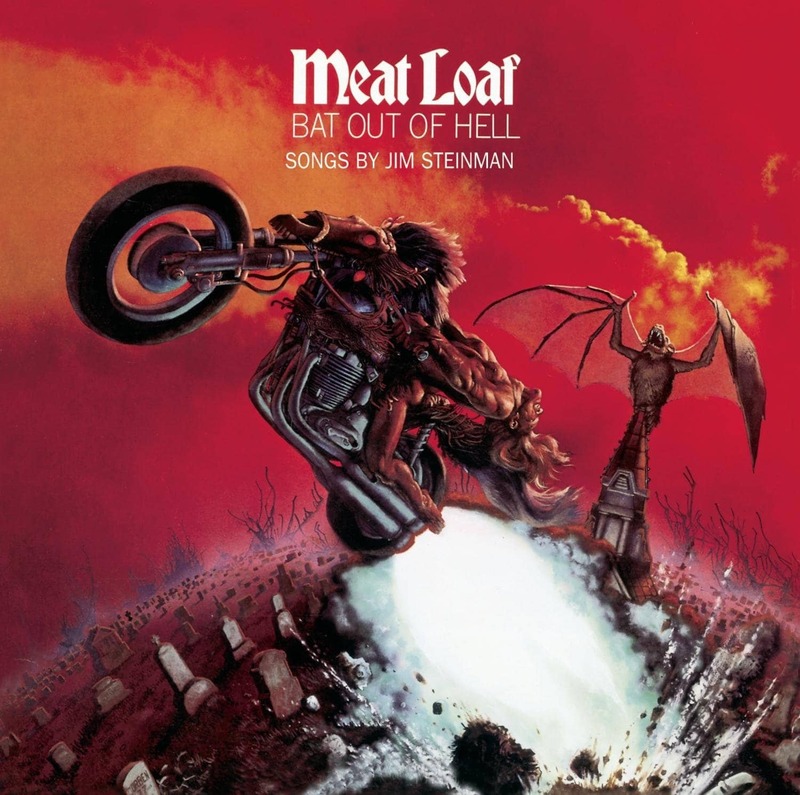 Meat Loaf’s extensive touring in support of the record also helped keep it fresh in people’s minds, but its likely its almost unique status as a rock opera concept album that has lead it to accumulate worldwide sales of over 43 million copies. The only progressive rock album in the top 10, Dark Side of the Moon (1973) explores conflict, greed, time and mental health – themes previously mined by the band – but without the extended instrumentals, which were common throughout their earlier material. For their eighth studio album they adopted a more direct approach with their lyricism, the record exploring the human experience in detail. Each side reflects different stages of human existence. 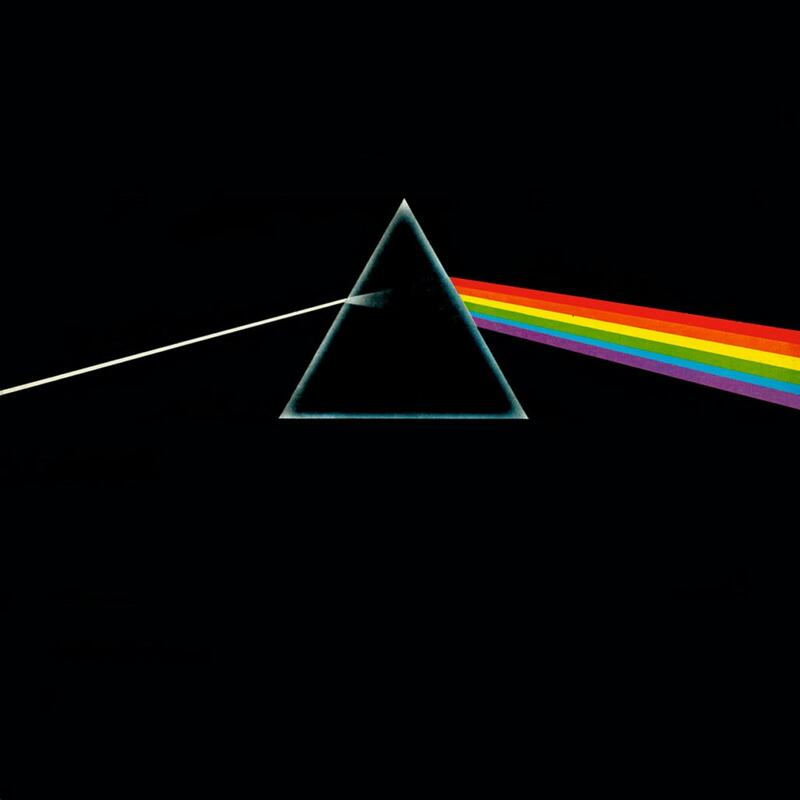 Dark Side of the Moon‘s iconic album cover was designed by Storm Thorgeson. It represents the record’s themes and the band’s live show lighting after Keyboardist Richard Wright asked for simple and bold artwork. Some of the profits from the album were invested in the film Monty Python and the Holy Grail (1975). 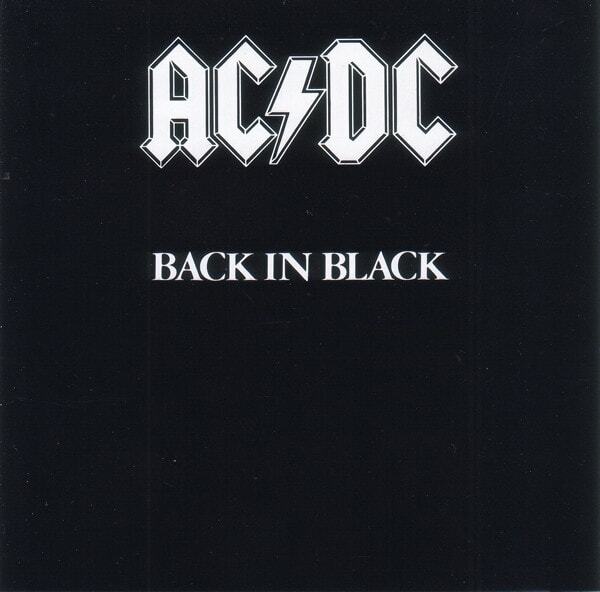 Recorded in the Bahamas and mixed in New York, Back in Black (1980) was produced by rock super-producer Robert John “Mutt” Lange who demanded perfection, especially from vocalist Brian Johnson. This is the band’s seventh studio album but their first with new Johnson following the untimely death of their original singer Bon Scott. The record’s black album cover was designed as a sign of mourning for Scott whose loss devastated the band. Rolling Stone journalist David Fricke described the album on release as ‘the first LP since Led Zeppelin II that captures all the blood, sweat and arrogance of the genre’. It was released at a turning point for heavy metal; many bands from the genre began playing slower music and indulging in lengthier guitar solos whilst others became influenced by the high energy of punk and sought a more accessible pop sound. The single ‘You Shook Me All Night Long’ is a staple at US strip clubs, ‘Back in Black’ was the first song Kurt Cobain learnt on the guitar and the album has since sold over 50 million copies worldwide. Over the years this compilation album from Eagles has jostled with Michael Jackson’s Thriller (1982) for the US bestselling album spot. It was surpassed by Jackson’s album after his death and has since regained its number one spot, but not in terms of worldwide sales. It has sold over 42 million copies worldwide. Released the same year as their bestselling studio album Hotel California (1976), Eagles are the only act to appear in the worldwide top 10 twice. Eagles were unhappy with the record’s release feeling that it was a ploy on the record company’s part to claw in as much cash from the band’s output as possible, without paying out for recording costs. The difficult relationship between business and art is a frequent topic in the band’s lyrics. 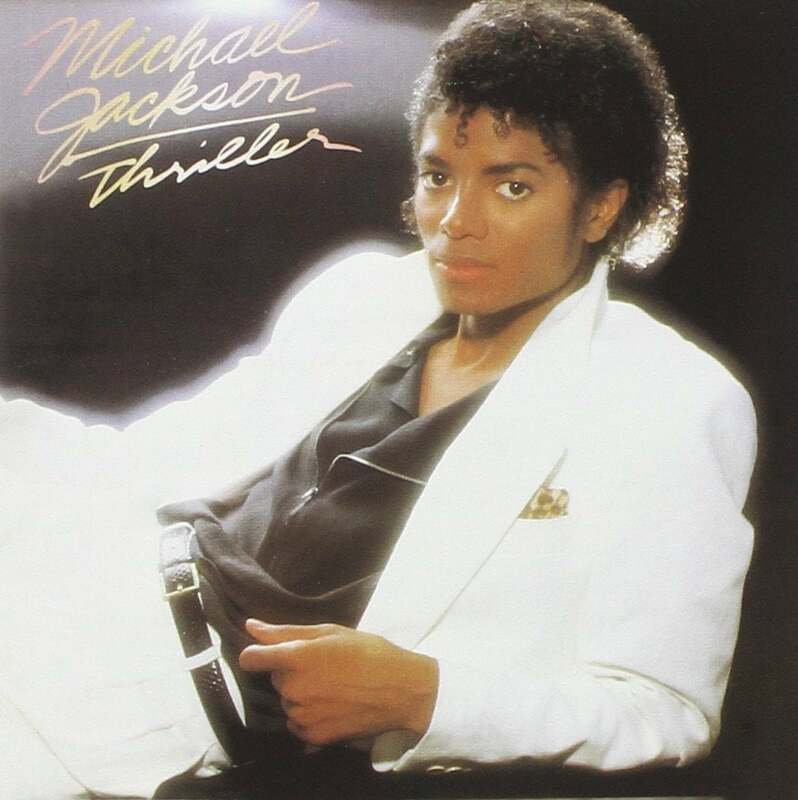 Michael Jackson’s Thriller (1982) has sold over 66 million copies to date and won a record breaking eight Grammy awards. It has been included in the Library of Congress’ National Recording Registry – together with the John Landis (‘American Werewolf in London’) directed ‘Thriller’ video – as culturally significant. Jackson’s previous album Off the Wall (1979) had been a critical success, but he was’t happy. He was disappointed that it didn’t win a Grammy for Record of the Year and felt generally undervalued by the music industry. He’d been told on numerous occasions that magazines don’t sell with a black person on the cover and was determined that one day similar publications would be begging him for an interview. Due to a disco backlash at the time, ‘Beat It’ was written as an antidote to the disco heavy sound of his previous record. Eddie Van Halen was recruited for guitar solo duties and Horror icon Vincent Price read the rap in ‘Thriller’. The Quincy Jones produced record was infused with a variety of genres including funk, R&B, hard rock and soul. Jackson opened the door for greater black representation on MTV. He was assisted by his label president Walter Yetnikoff who threatened to hold back music videos from other artists if MTV didn’t play Jackson’s videos. Each video was a complete work of art on regular rotation with the network, the lead single being a duet with Paul McCartney entitled ‘The Girl is Mine’. This track was widely perceived as promoting racial harmony. The album’s success lead to Jackson visiting Ronald Reagan’s White House. CBS called this ‘one of the most fascinating White House photo ops since President Richard Nixon met Elvis’. For many republicans Jackson was an uncomfortable symbol of 1980’s excess.